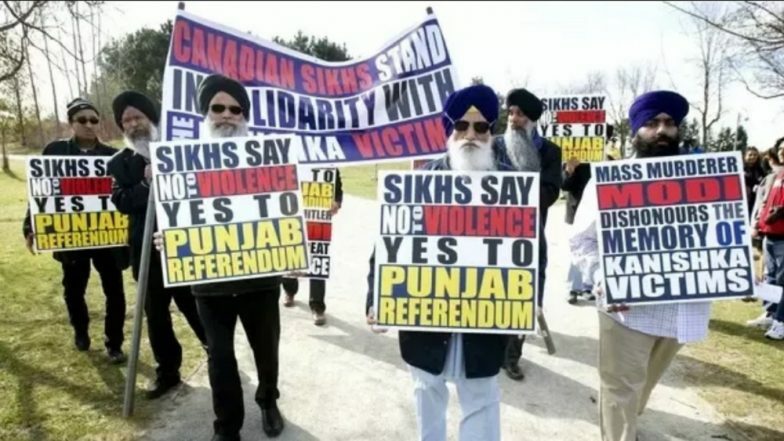 Ottawa, April 14: The Justin Trudeau government has bowed to domestic political compulsions, as it has budged into the demands of pro-Khalistan groups demanding the ruling Liberal Party to remove references to "Khalistan" and "Sikh extremism" from the Annual Terrorism Threat Report. The action has left India miffed, drawing sharp reaction from Punjab Chief Minister Capt Amarinder Singh. In the original version of the terrorism report, released in December 2018, Sikh extremism and Khalistan movement were described as a violent ideology which poses a threat to Canada, through remote in nature. This had drawn flak from various Sikh socio-political and religious groups, who had charged the Trudeau regime of appeasing the far-right elements. Officials privy to the matter, while speaking to the Canadian media on condition of anonymity, have claimed that the intelligence groups will continue to monitor the activities and financial trail of suspicious elements. However, the Trudeau government is treading cautiously in a crucial election year. With several Indian-origin ministers part of the Liberal government, the Prime Minister was compelled to issue an amendment, and remove all references to Sikh extremism. The amended report justifies the action, saying that the terminology used earlier unintentionally painted an entire community with the same brush. "The government will carefully select terminology that focuses on the intent or ideology. For example, as a first step, the Government will use the term: Extremists who support violent means to establish an independent state within India; rather than terminology that unintentionally impugns an entire religion," the report states. Capt Amarinder Singh has contested the justification, with his spokesperson pointing out why the Trudeau regime has referred to Shia and Sunni extremism with their respective community tags. "Trudeau is playing with fire with his decision to assuage inflamed domestic passions through this ill-considered move," said the statement issued by the Punjab CM.